• Materials that permit flow of electrons are called conductors (e.g., gold, silver, copper, etc.). • Materials that block flow of electrons are called insulators (e.g., rubber, glass, Teflon, mica, etc.). 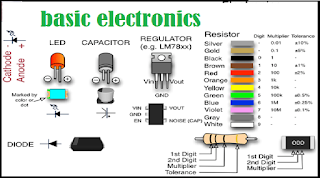 • Materials whose conductivity falls between those of conductors and insulators are called semiconductors. • Semiconductors are “part-time” conductors whose conductivity can be controlled.